What could Kris' present for the Megastar and Sen. Kiko Pangilinan? 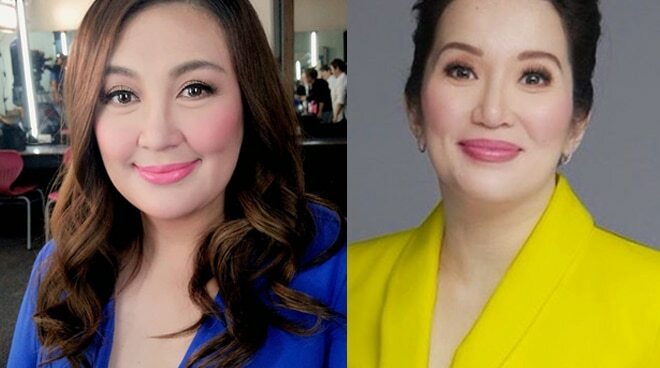 Sharon Cuneta took to Instagram to express her gratitude to Kris Aquino after she received a letter and numerous balloons from the actress. In her post, Sharon wrote, "Yesterday Kiko and I each received a huge balloon arrangement from Kris. They and especially her message made our day! I didn’t even know she was still in Hawaii but it’s just like Kris to not delay anything, especially if it is to show those she cares about how special they are to her. Thank you, Beej!" In the letter, Kris extended her heartfelt thanks to the Megastar for being a true friend. "Ate S, my forever gratitude is yours for the generous kindness and infinitely valuable insights you have shared with me. Thank you for taking me under your wing and giving me the protective shielf of a loving Ate," Kris stated.